This St. Augustine hotel is situated just half a block from the ocean and five miles from the downtown historic district. Guest rooms and suites are spacious and comfortable, featuring a Perfect Sleeper Plush bed, complimentary WiFi, and an HDTV. The hotel is just moments away from championship golf courses, Castillo de San Marcos, museums and much more. 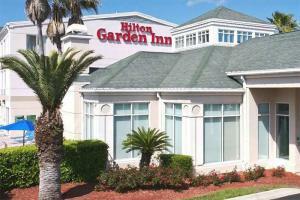 Located across the street from the famous St. Augustine Beach. Alligator Farm, Castillo de San Marcos, City Center, Fishing, Fountain of Youth Museum, Lighthouse Museum, Lightner Museum, Limelight Theatre, Old Town Trolley Tours, Potter's Wax Museum.